I simply cannot take credit for such an amazing cookie. 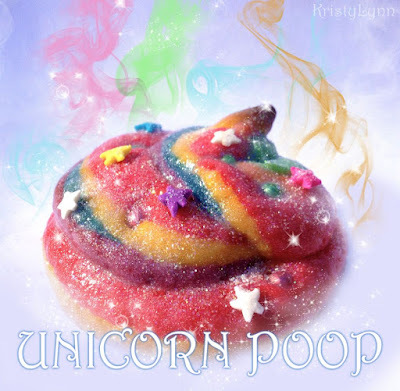 The Unicorn Poop Cookie is the brainchild of a genius named kristylynn84 (at least, that's her username on Instructables). Try it at home! She provides the recipe and step-by-step instructions here. And she even made a cheesy-good video set to classical music that beholds such a beauty. I always knew baking was magical, but this takes it to a whole new level.